If you happen to hear our enthusiastic Casino Gorilla gambling blabbing about an obscure-sounding game by the name of ‘Twenty-one’, well don’t despair and wonder how it passed you by. He is merely talking about the good old trusty game of Blackjack! By far the most popular casino game ever invented. The Gorilla was of the opinion that an expansive description of the game was necessary for players who were curious about trying it out. And as it happens, he is in the mood to tell you all about it! Luckily enough for beginners, online blackjack isn’t rocket science; it’s a game that one can quickly grasp and go about having fun, and possibly earning some dough. 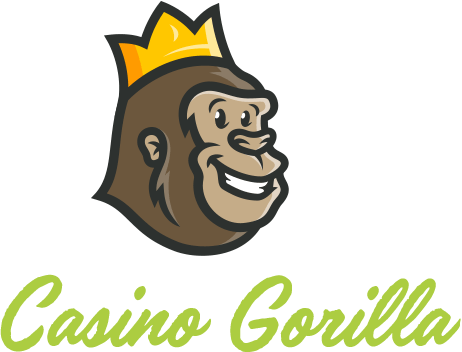 Once you go through this guide, you will be able to understand the basics about the game and who knows, it may be only a matter of time before you become a Blackjack guru like our Gorilla here! It’s not uncommon to encounter people (mostly casino amateurs) who don’t know what Blackjack is leave alone its alternative moniker, ‘Twenty-one’. The credit for the game’s invention goes to the Americans who went on to popularize it to the extent that it became a global hit. There is hardly a casino in the world worth its salt that operates without blackjack tables on its premises. Blackjack is essentially a game that involves comparing cards. The typical traditional set up for a game involves a dealer surrounded by several players who compare cards with him/her in turn. The players compete with the deal but as a rule, don’t compete with each other. Playing the game requires one or more decks of 52 cards. In online casinos, you have an option to play with the computer, or with live dealers with actual professionals. The game begins once the dealer (the computer or live croupier) hands two cards to himself before dealing two cards to every player on the table as well. Usually one of the dealer’s cards will be facing up and the other down. Face cards, on the other hand i.e. King, Jack and Queen, have a value of 10. Hand value – This refers to the sum of all the card values you possess. A soft hand – Refers to a hand that has an Ace valued at 11. The game allows a player to draw an additional card to boost their hand. The reason why a hand value of 11 is called soft is because it won’t bust if a player takes an additional card. Hard hand – The reason why a soft hand doesn’t bust is because the Ace takes up a value of 1. This then prevents the hand value from exceeding 21. In the event you don’t have an Ace with you then the hand is hard. The goal of the game is to strive to ensure your hand value gets as close as possible to 21 without busting! Thus, the goal of the game is to strive to ensure your hand value gets as close as possible to 21 without busting. If your hand value exceeds 21 you lose the bet immediately. Upon completion of the player’s hand, it will now be the dealer’s turn. The dealer can, however, fail to play in the event the player has received a blackjack or has a busted hand. Reaching a higher final score without exceeding a hand value of 21. Receiving two cards that have a hand value of 21 which the dealer’s cards can’t match. This phenomenon is often called a ‘natural’ or a ‘blackjack’. Holding out till the dealer’s hand value surpasses 21. Should any of the above three outcomes take place while you’re playing, feel free to celebrate as best you know how before getting back in there. Nevertheless, in the event the dealer and the player have similar totals (also called a ‘push’), no one loses on that hand. Stand – Taking this option communicates that you are satisfied with the cards you have and require no additional ones. Split – In the event you have two cards of equal value, this option allows you to play each of them as an individual hand. Hit – Requesting an additional card. Insurance – This option serves to protect you from a blackjack from the dealer. Should the dealer turn an Ace, taking this option compels the dealer to view the other card. In the event it has a value of 10 points, you get to win back the insurance bet. You should recognize, however, that this bet may be equal to half your original bet. Double – This options doubles your bet and procures you an extra card. Blackjack – You have one ace and a ten card. You win! Be prepared to encounter a list of rules the moment you browse you way into an online lobby. While most of the rules that govern the play are similar across the globe, there are certain slight variations that a casino might make. You should, therefore, always keenly read through a casino’s Blackjack rules before you elect to start playing. The casino has the option to adopt either multi-deck blackjack or single-deck blackjack. In the event the casino chooses to offer both, then the choice of which one to adopt falls on the players. Land based casinos tend to shun single-deck blackjack given it gives players the confidence to count cards. It must be mentioned, however, that online casinos don’t have this problem given the shuffle machines continually shuffle the cards which makes card counting unfruitful. The benefit for the house is that the house edge will be marginally higher than the multi-deck option. This is one of the most important things to verify before you start playing. The standard rate offered by most online casinos is usually either 6:5 or 3:2. The latter rate will always yield a bigger payout. You should, therefore, always seek casinos that offer a 3:2 rate in order to enhance your winnings. PlayTech’s Blackjack Surrender makes use of six 52-card decks. You can count on all the decks being shuffled before a new hand is dealt. Moreover, the dealer is obliged to stand when the hand value is 17 and a blackjack player is always sure to win. What differentiates this variant from regular blackjack is that a player has the option to surrender. Choosing to surrender results in the players loosing half his/her bet. This variant gives players a better deal that the classic game given it allows them to get back half their bet when they sense the house is on the verge of beating them. Players who’ve visited several online casinos will invariably admit to noticing Vegas Strip Blackjack as being the first variant on offer. Its position at the top of every list is no coincidence given it’s arguably the most popular one. An achievement that could be explained by its low house edge. One could also consider the ‘surrender’ feature present in some of its versions where players are allowed to surrender and salvage half their bets. An example of a scenario that could prompt such a move is when a player has a hand value of 16 and notices that the dealer has an ace showing. Given a loss could be imminent in such a scenario, the best course of action is to surrender. Vegas Strip Blackjack also allows players to go head to head in tournaments. An invitation that many blackjack aficionados find very hard to pass up. This variant follows all the rules of the traditional game and doesn’t grant players a surrender option. What players get instead is a game involving six 52-card decks that are shuffled constantly. Players are given the option to double down the moment they get the first two cards. The dealer, on the other hand, is obliged to stand on any soft 17. Doubling down only entitles you to one card. This variant is essentially Blackjack Surrender without the ‘surrender’ option. Despite being more common in slot machines, progressive jackpots are now increasingly becoming a regular fixture in blackjack. In order to qualify to make an attempt at winning the jackpot a player must be ready to post a side bet. There is no option to surrender. The best selling point for this variant is the many favorable odds it gives you. For starters, players have the option to play two hands at the same time while reserving the right to switch two cards from either hand. In order to take advantage of this option, players have to place two identical bets. The player must, however, contend with the fact that a dealer blackjack gets to beat a player blackjack. Additionally, a player blackjack only pays one to one. Another measure taken by the casino to offset the advantages the player has is to ensure the dealer ties with the player on 22 in case the players strikes 21 or lower. The first thing one should do before adopting a good blackjack strategy is to let go of all superstitions that one believes have a hand in determining wins or losses. The next step will be to identify the ideal blackjack variant. The guiding principle here is simple; the lower a casino’s house edge is, the higher the odds of choosing it. Can you hit split Aces? How many decks will be used? How does the dealer react to a soft 17? Can you surrender? If so under what circumstances? What are the earnings from a blackjack play? What are the rules regarding doubling on two cards? Is a player allowed to split his hand? How many times can he do so? Can you double after splitting a hand? What is the rule regarding a 5-, 6- or 7-card Charlie? Once you’ve learned all there is about the rules of the blackjack variant you’re formulating a strategy for, the next step is to find a customized strategy card. A strategy card is a reliable guide that will signal how you should play in response to the dealer’s upcard. This guide will provide you with a specific course of action depending on the hand you’ve got. You can easily develop your own strategy card by visiting a blackjack strategy calculator online. You’ll thus be able to create a guide to playing that is mathematically supported. While it’s true that online blackjack is one of the best online casino games for beginners, it doesn’t mean you’ll be tired of the game once you become well-versed. The numerous variants of the game available online are bound to make you stick around for a long while. Are you doubting this? Then why not ask the thousands of veteran card aficionados who checked out online blackjack out of curiosity and never looked back? The favorable odds and agreeable house edge will lead to you finding a variant whose suitability could never possibly be replicated on land. Our Casino Gorilla approves this message!